Aug 02, 2018: Parenting a child with an anaphylactic allergy to peanuts, Koel M. Upadhyay has experienced the helplessness, frustrations and anxieties of many other parents faced with the challenges of a similar situation. This journey, inevitably, was meant to be the inspiration for her first published book, The Prince’s Armor – A Peanut Allergy Awareness Story. Koel feels compelled to share this story, so close to her heart, hoping not only to offer strategies and reinforcement for affected children and their families, but also to raise awareness and a deeper understanding in everyone else. According to Food Allergy Canada, “Peanut allergy in Canada affects about 2 in 100 children. One in two Canadians know someone with a serious food allergy.” It is certainly not possible to control our surroundings or environment, nor is it prudent to take it for granted that everyone in shared areas has relevant information regarding food allergies. Parents, therefore, need to raise children who are informed, alert, cautious and wise about their choices and who are aware of what they themselves need to do to minimize chances of ingesting food allergens that might trigger a reaction, potentially an anaphylactic one. 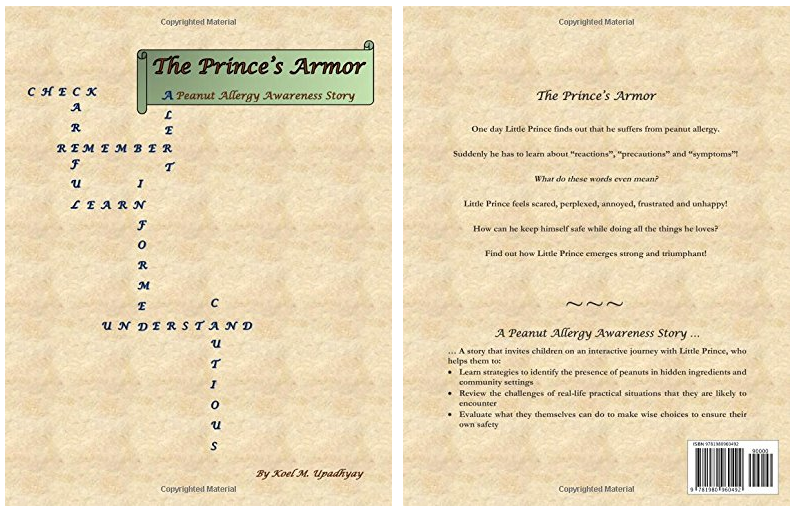 The Prince’s Armor – A Peanut Allergy Awareness Story hopes to accomplish just that. 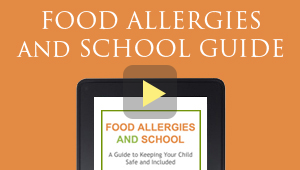 Koel, has been proactively involved in spreading awareness about peanut allergy by regularly talking to teachers, care-givers and community members on effective strategies for preventing allergic reactions. Putting together the information she gathered over the years about food allergies, her love of literature, and the instincts of a teacher, she has conceived a children’s book that: explains the meanings of confusing terms like “cross-contamination” and “accidental exposure,” evaluates real-life scenarios that children with a peanut allergy are likely to encounter, and brainstorms strategies that teach allergic children what they themselves can do to ensure their own safety. When Little Prince finds out he suffers from a peanut allergy, he is confused and afraid. But he does not give up. He decides to actively look for solutions. Will he be able to find any answers? Will he still be able to do all the things he loves? Will he be able to keep himself safe? Through the character of Little Prince, Koel presents someone who is resourceful, resilient, proactive and optimistic. Koel hopes that the character and his methodical approach to finding solutions will inform, inspire and encourage all readers. Join Little Prince on his journey of awareness and understanding, in this first book in the trilogy series! Find out if Little Prince emerges strong and triumphant!